No matter how hackneyed Cleveland jokes are by this point, that bad rep still clings to it, as it does with many other Rust Belt cities that faded in the second half of the 20th century before undergoing a 21st century rejuvenation. A proud local son, Rivas and a handful of other local comedians are reclaiming Cleveland’s reputation through the annual Accidental Comedy Festival, which starts tonight, Aug. 30, 2017, and runs through the weekend at the comedy club Hilarities. One of countless local comedy festivals that have popped up throughout the country this century, Accidental is becoming a festival of note outside the 216 area code, as the now-LA-based Rivas’s burgeoning career and expanding industry connections have lured big names onto the schedule. This year’s headliners include Ron Funches, Dave Hill, Dan Soder, a live taping of Doug Benson’s Doug Loves Movies podcast, and more, with Rivas himself main eventing Saturday’s lineup. The rest of the schedule features some of the best up-and-comers in stand-up today, including Jak Knight, Mia Jackson, Kate Willett, Brett Druck and others. It’s about as strong of a collection of comedians as you’ll find outside the major megafests like Just For Laughs. 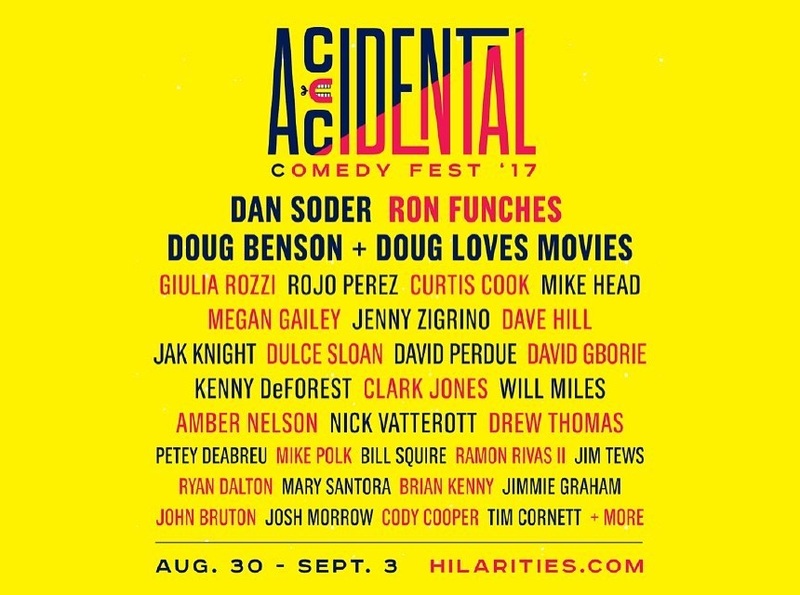 Since that first installment, Accidental has grown every year, to the point where it’s now being held in Cleveland’s major comedy club. Along with it, Rivas’s own career has grown; in 2015 he was named one of Comedy Central’s Comics to Watch, and had a half-hour special on the network in 2016. Earlier this year he was one of Paste’s favorite comics at Just For Laughs 2017. His career and the comedy festival have grown symbiotically, with Rivas meeting comedians like Funches (who invited him to Just For Laughs) and then inviting them to Cleveland to play Accidental. Accidental’s about to have its biggest year yet, but Rivas isn’t resting on any laurels. He’s looking forward to the fest’s future, and hoping to establish it as a crucial event not just for Cleveland’s comedy scene but for the whole city, and for the entire comedy industry. “Throughout the year I want it to help bridge the gap from amateur to professional for comics in the Cleveland area,” he says. “Let when people are traveling know they can go do good spots in Cleveland while in between spaces. The festival is growing. People have heard of it within the industry. Comedy Central is sending some reps this year. I’m just hoping it continues to grow into a thing—I want it to be enriching to people who take the time to come to it, as artists, but also as audience members, because that community of people who come to support the shows is as important as what happens on stage.